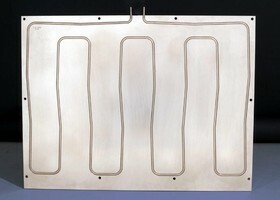 Electric Heaters provide uniform temps for PV cell processing. Gas Heaters offer capacities from 40,000-250,000 BTU/hr. 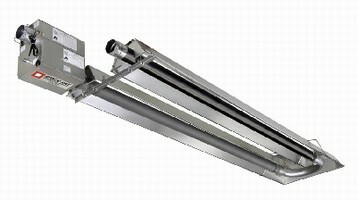 Tube Heaters offer capacities from 40,000-250,000 BTU/hr. Available in natural and propane gas, LTU Series U-tube heaters suit high air change environments and higher mounting heights of 12 ft or over. 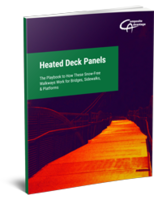 Unitized low-intensity gas-fired infrared heaters are C.S.A. approved and can be configured to meet variety of industrial and commercial needs. 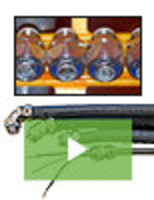 U-Tube Heaters help create comfortable atmosphere. IR Tube Heater promotes ease of installation/accessibility. 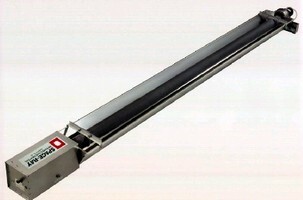 Radiant Tube Heaters come in low-intensity versions. Infrared Tube Heaters range from 40,000-175,000 btu/hr.